My first 911 was a 1989 Guard’s Red 911 Cabriolet. 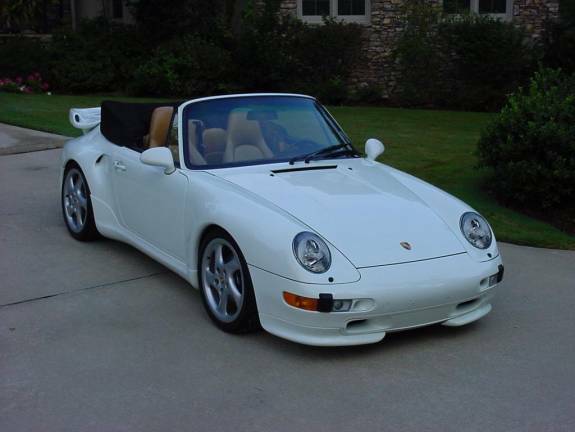 In 1997, I traded for my current 1995 White Cabriolet 993, aka WhiteCab! Last year I decided that I wanted to add several body modifications necessary to create a 993 Turbo-S look. 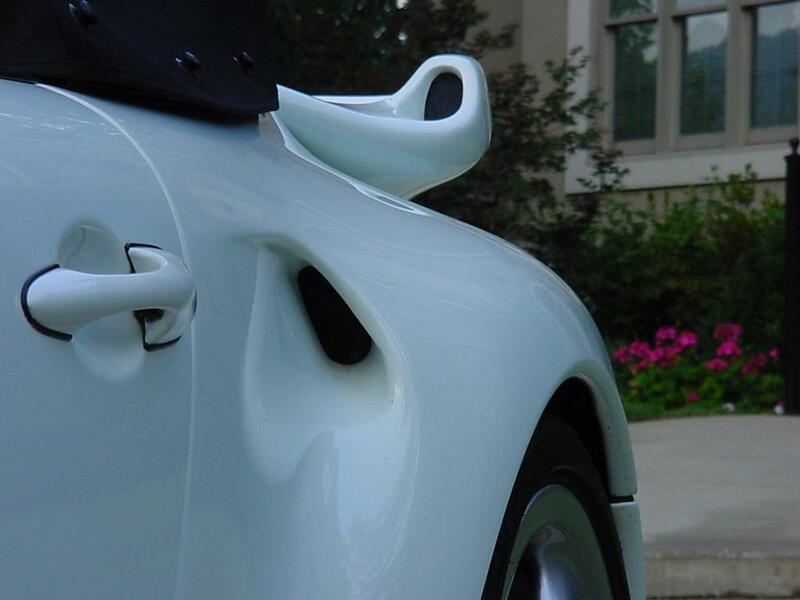 Some Porsche owners never spend a dime to customize their babies. 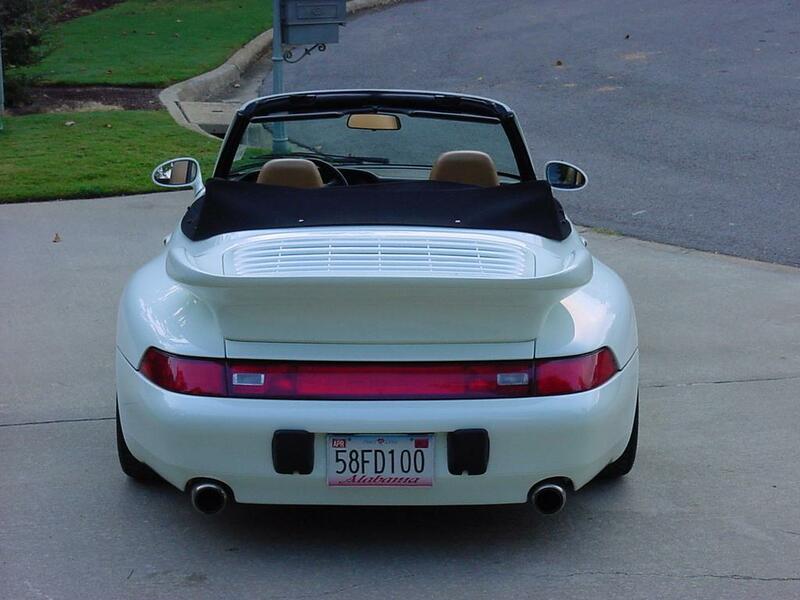 But for me, this was the ultimate 993… No Turbo headaches, but a really hot Turbo-S look! Lots of time and dollars went into this project. From a stock 993 Cab, I’ve added the following modifications to turn this beauty into the current Turbo-S “WhiteCab”! All body parts are top-quality from Techart and FabSpeed. To the right are several images of WhiteCab, in all her glory! Would you like to buy WhiteCab? This year I will be losing my mind. I’m going to buy a new TwinTurbo 996. I hope I don’t miss WhiteCab, but there’s just one spot for Porsches in my garage (along with my honey’s XJ-8 and Suburban).